Known for their urban ninja aesthetic and unique— but still recognizable — design twists on classic silhouettes, Adidas Y-3 For Sale sub-line has found an interesting middle ground between high and street style with their footwear. 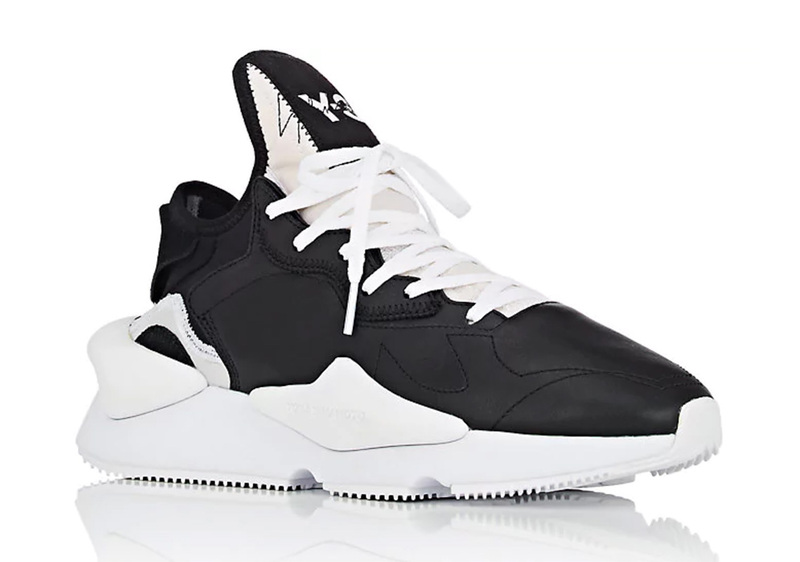 Now, the brainchild of designer Yohji Yamamoto and the Three Stripes has a speedy new silhouette set to hit the ground running soon: the Raito Racer. First premiered at a Y-3 fashion show earlier this year, the new kicks feature a race-ready low-slung Primeknit upper with abstract detailing around the lacing system and interwoven contrasting threads for extra style and support. Branding is provided by a Y-3 graphic on the tongue/a repeating print on the pebbled outsole, and the shoe is then completed with a full-length white Boost midsole. brand to release another version of the Harigane silhouette. Dressed in “Mystery Ink”, this futuristic sneaker toes the line between lifestyle and high performance footwear with its rugged outsole that sits underneath an EVA midsole providing the wearer with superior cushioning. Its one-piece knit upper is supported by a modernized lacing system that grants this design with much-needed structure. Equipped with a molded leather heel unit and a sock liner that includes premium suede, this offering boasts a luxe aesthetic fitting of high price point. Following its foray into basketball footwear with James Harden, Adidas Y-3 For Sale line is back where it is comfortable – on the streets. Next up for this illustrious label is another adidas project that matches progressive Japanese craftsmanship with breakthrough Digital Light Synthesis technology.